Blu Ray movies seem here to stay and while you can enjoy your movies at home, traveling out of the country may be an issue. However, while there are many reasons to buy a region free Blu Ray player and not all of them have to do with traveling. In fact, many movie aficionados may find that their favorite movie isn't available in their home country and may have to order it from somewhere else. However, then you have to have a way to play it. For instance, if you love a movie that is only available in the United Kingdom yet you live in the United States, you may be able to order your blu ray movie from the UK but it will be in a different region code. The United States uses region code 1 but the United Kingdom uses region code 2 and the disc will not play if you try to use a Blu Ray player from the United States with a disc from the UK. 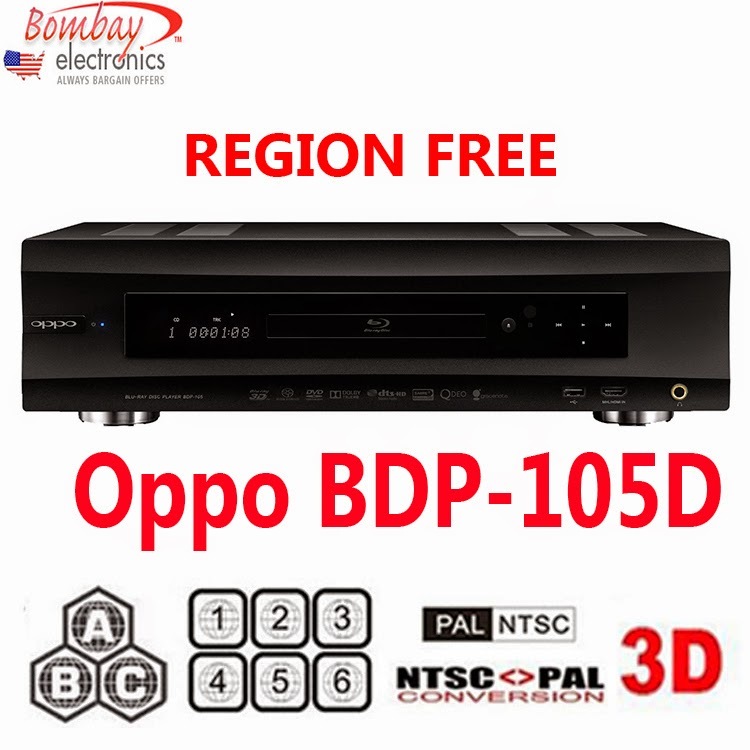 So whether you are traveling abroad or simply want to ensure that every movie you buy will play on your Blu-Ray player, you need a region free player and Bombay Electronics has a multitude of choices. Take for instance the Sony BDP-S1100Multi Region Code Free DVD Blu-Ray disc Player. It not only plays all of the regions but also has a PAL to NTSC converter that is built-in. It offers full HD 1080p and DVD upscaling. It's perfect for your needs and the price is extremely reasonable. It even has 100-240 worldwide voltage so you can take it anywhere and it will definitely play the discs you buy from other countries even if you're not traveling. If you want to know more about region free Blu-Ray players or any other electronics, please contact us so we can help you with anything you need.